How do we know what an amoeba looks like? how can doctors see the details of our skeletons and internal organs? What enables us to see an exploding star in another galaxy? All of these things are made possible through the innovations of photography. 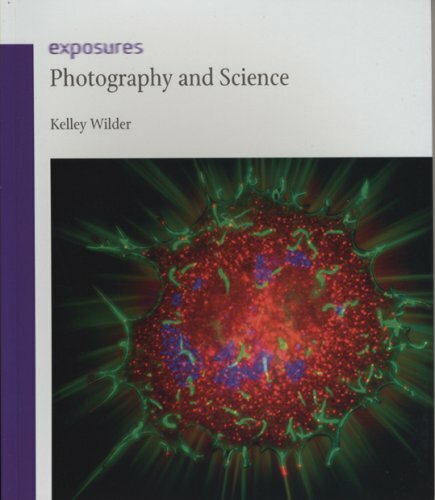 Kelley Wilder now provides a primer on the remarkably fruitful applications of photography to science, as she explores the multiple facets of this complex relationship. Here Wilder draws upon her extensive background in alternative process photography, museum practice, art history and history of science to produce a wide-ranging and illuminating investigation into the intersection of photography and science. Photography and Science describes how photography first established its legitimacy through its close association with key scientific ideas and practices, such as objectivity, observation, archiving, and experimentation. Wilder then charts how photography returned the favor by serving as a powerful influence in various scientific disciplines, such as biology and astronomy. The book also digs into the controversial debates over photography's 'success' in the sciences, its use in practical fields such as medical and x-ray imaging, and the complicated relationship between scientific theory and art practice. Augmenting this fascinating study are eighty photographs of scientific subjects and experiments, many of which are published here for the first time. A thought-provoking, broad-based examination, Photography and Science will be an essential addition to the bookshelves of scientists, photographers, and art historians alike.